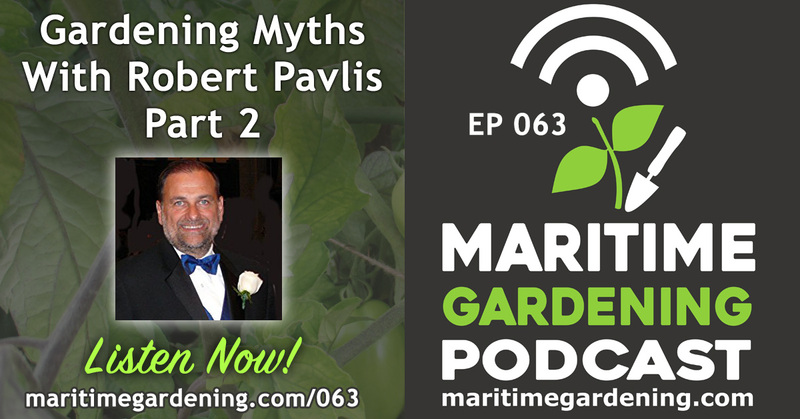 This episode is part 2 of my talk with Robert Pavlis, author of the book “Garden Myths”, a book that pit’s his no-nonsense, scientific approach to gardening against many commonly held myths of gardening. 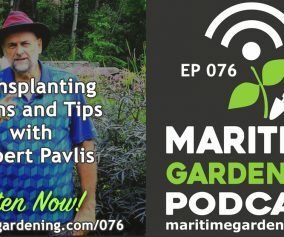 In this part of the conversation we talk about tomato myths, internet sources of information (and how lousy they can be), and compare notes on results with different mulch applications. OK I’ll make something happen with Robert! A backyard pond sounds good although our backyard is not very big. 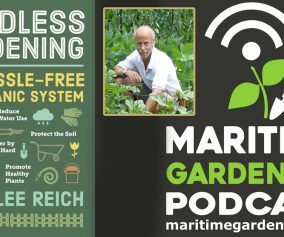 Thought I would share our experience with Vessey’s blight resistant tomato seeds. We like their sauce tomato that you mentioned. The cherry tomato is also good. One other and I can’t remember which is quite thick skinned and maybe not as tasty. We lost 4 of our six plants. One of those six is coming back from the roots. Wanted to mention that every year we get Septoria leaf spot and it is discouraging. We get a crop but not like we should especially on the indeterminate ones as they should keep producing. The plant defoilates before the frost comes. Any suggestions as to what we might spray safely with? What is your take on using dried leaves for mulch. I mowed my leaves down to coin size pieces and covered my beds last fall. I left them there and just pull back to plant. So far everybody seems happy. It seems to make water easy as the water just rolls down between the pieces. The soil seems to stay moist. I am looking to use hay either this or for next year. 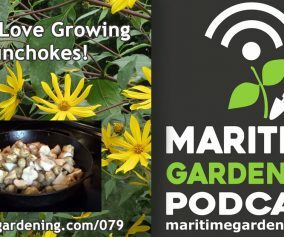 I found the mulching podcast. 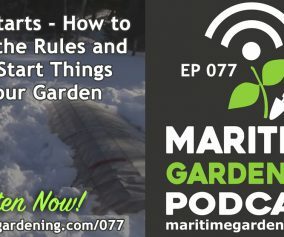 So I have a better idea about mulching. Thanks Kevin, hope it gave you some good ideas – all the best – g.a. Interesting conversation. We’re using bacillus subtillus this year to ward-off early blight, fungal infections. So far, so good. When early blight comes through central PA, zone 6b, I’ll be interested to see how these bacterial products work. 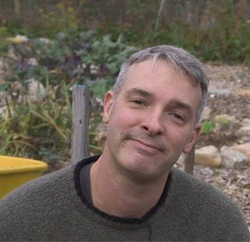 Concerning fertilization, Charles Downing’s “feed the soil, not the plant” method of no-dig, composted mulched raised beds seems to work excellently. That’s what we’re trying this year. I admit, it’s hard for me not to want to fertilize, even with foliar sprays, which can save a plant in an emergency. Anyway, I like Pavlis. He’s kind of like the James Randi of gardening. Cool! Yes that’s right, it’s all about feeding the soil. That’s permaculture and over the long run you will be amazed at the results you get 🙂 Thanks for the comment!